Daily Illuminator: Now Available: Glowing Munchkin Vinyl Figure! 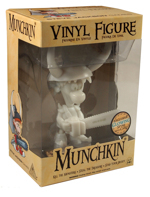 December 2, 2014: Now Available: Glowing Munchkin Vinyl Figure! This one glows in the dark, and it's only available on Warehouse 23!